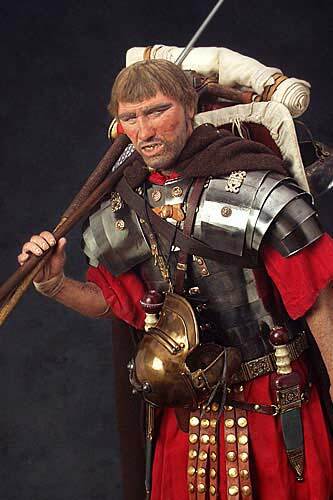 For many, the Legion and the individual Legionary represented the real might and power of the Roman Empire. 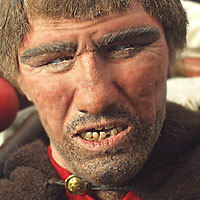 Prior to the Roman Army there was no true, free standing, armed force in the Mediterranean basin. 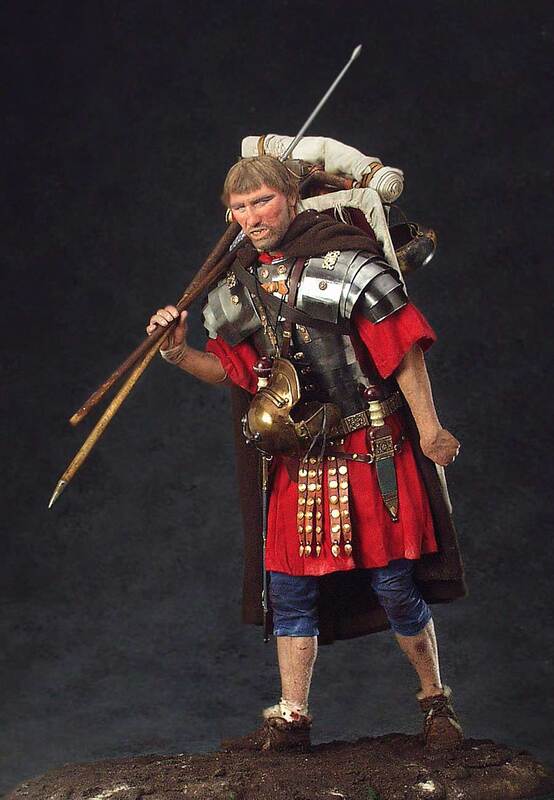 A fully loaded legionary on the march carried more than his armor, weapons and shield. 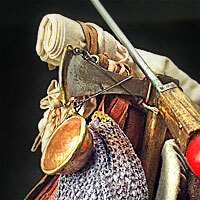 Each man had a heavy pack held over the shoulder containing a tool kit and cooking equipment. This burden could weigh 90 pounds or more, and often had to be carried up to 20 miles a day! A soldier would be expected to actively serve 20 years for the Empire.